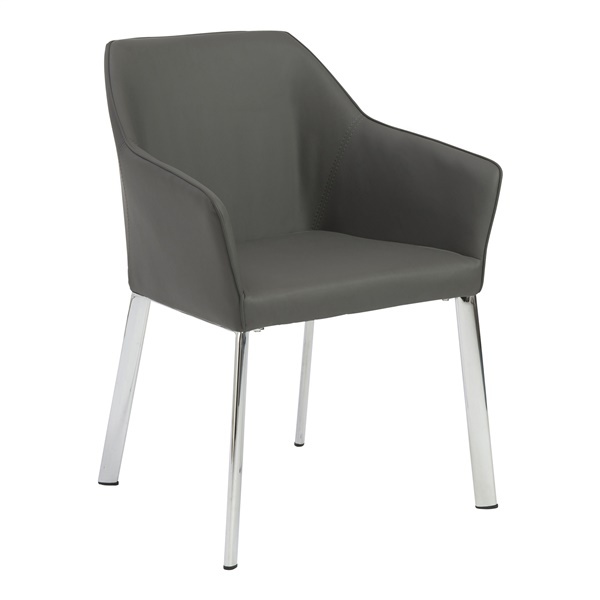 A chair that emphasizes elegance and design, the Eagan Arm Chair by Eurostyle consistently delivers exceptional comfort. Crafted for any professional or home environment, the chair features dynamic contours that fit equally well into either setting. Also, the chair's soft leatherette over foam seat and back provide the perfect mix of style and comfort that guests of all ages are sure to appreciate. Offer your guests a cozy seat that serves as the perfect complement to any d�cor -- the Eagan Arm Chair. What is the arm height for this chair (floor to top of arm). I need to make sure it can fit under my table. The arm height from the seat is 7.88" and the arm height from the floor is 26".